An updated version of DARCO’s vaunted original, the Body Armor II also provides unparalleled protection, compression and immobilization for foot and ankle conditions where ambulation is permitted. The II also features a built-in liner and raised air vents for extra cooling when needed. 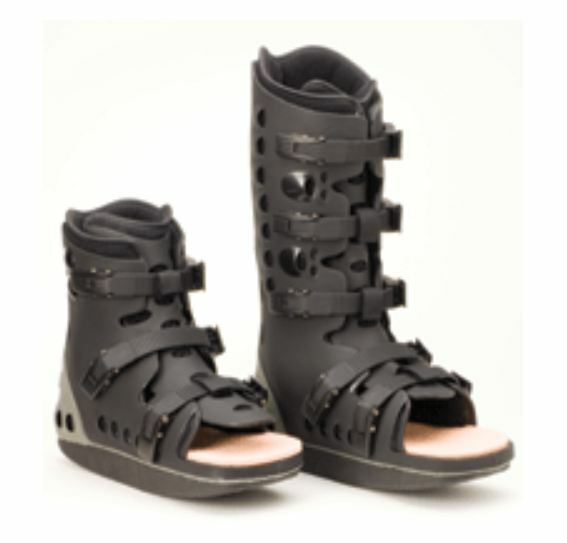 It is the perfect alternative to a weight-bearing cast for compliant patients, and its lower ride-height more closely matches that of most shoes. . Available in both standard and short lengths. 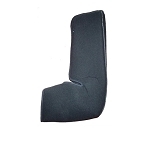 Rigid Shell: protects from everyday bumps and knocks while providing more uniform compression. 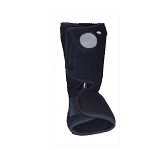 Ski-boot closure: allows every user to find a secure and comfortable fit. 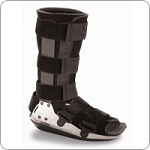 Flexible Upper: conforms to the leg and provides more uniform compression of the foot and ankle. Removable Multi-density Insoles: allow for targeted offloading when required.